Please join us to celebrate and learn more about the wonderful medical work of our own Sarah (Belcher) Halter and her husband Dr. David Halter on Sunday, September 30, 2:00-5:00 p.m. (presentation at 3:00), in Fellowship Hall, hosted by Jean Janes and Emma Leachman Baptist Women groups and Global Partnerships Ministry Team. Sarah is the daughter of Bob and Kathy Belcher and grew up at Highland. 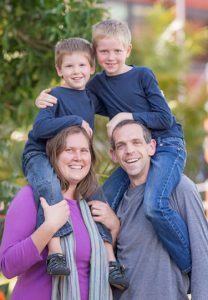 Sarah, David, and their children have lived and served in East Africa for three years—with plans to return.